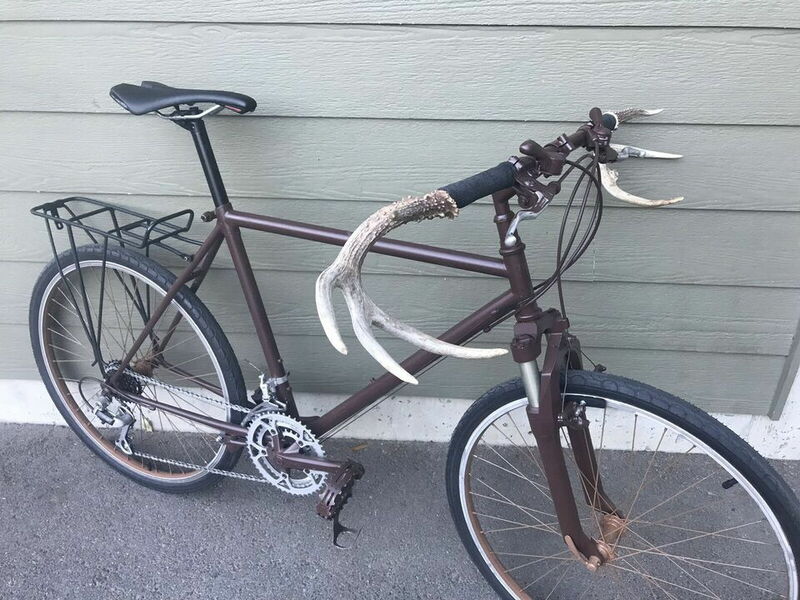 Might be the right bike for up on "the white side of the map" for when the bears stop hibernating. 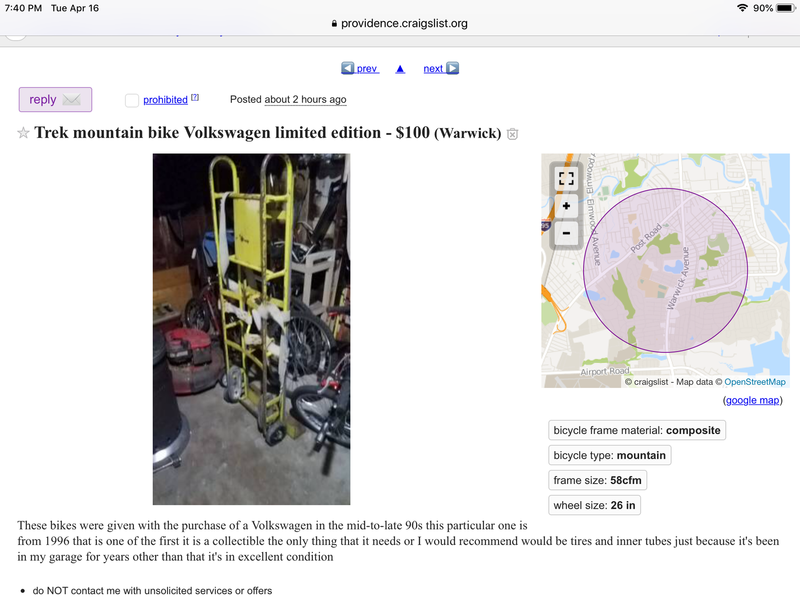 Not a bicycle, but there was a news story today about a fragmentary juvenile tyrannosaurus fossil being offered on eBay for $3M and how this prompted a STRONGLY WORDED LETTER from academia. Three was someone recently complaining about being horned. It must be a museum shutting down, or badly strapped for cash. I wonder how much the museums actually pay for such artifacts. They may well not be cheap. That T-Rex is a very incomplete skeleton (with a plastic reconstructed head/neck). The seller also has a far more complete Triceratops for much less, I think. The problem may be that the T-Rex was a fairly young specimen, and thus must be relatively rare. So, it was "found" on private land and excavated by a private individual. But, loaned to the University of Kansas who restored and prepped it for display, then taken back for sale. A bit fishy there. At issue is that it may not be a juvenile, but rather a mini. Last edited by CliffordK; 04-16-19 at 07:14 PM. 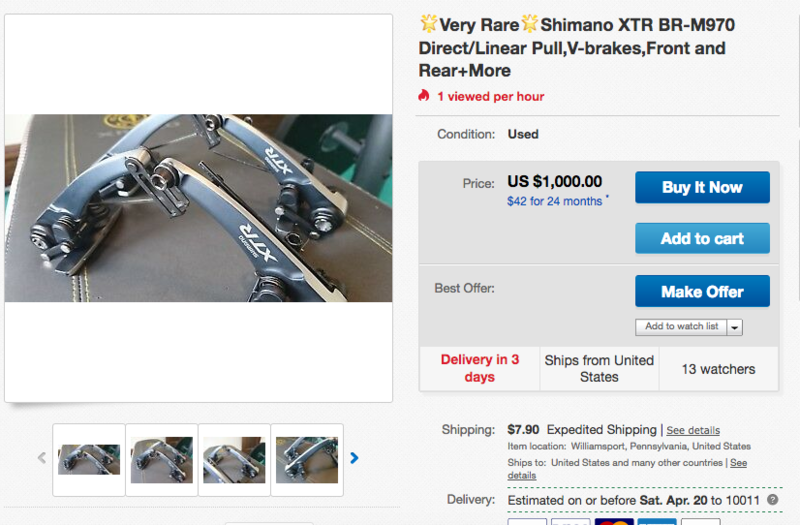 "when Shimano stopped making V-brakes." The rutting season is upon us, the winner gets to mate with all the ladies frames. Is it me, or do those front horns look bent? Could have been in a collision. Every time someone quotes that picture, my first thought is what a collision hazard that is.